Do Dogs Really Need Seatbelts? As we turn the bend into summer, say goodbye to your faithful companion hopping into your car, sitting in the passenger seat and hanging his shaggy head out of the window tasting the freedom of the open road. 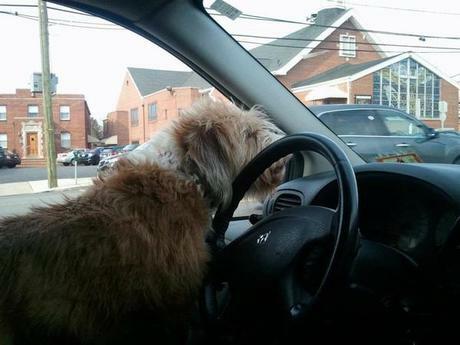 In New Jersey, a warning was issued saying that any motorist found driving with an unrestrained pet would face a penalty much stiffer than the $46 fine issued to unbuckled drivers and passengers. Penalties for unrestrained dogs range from $250 to $1,000 and as much as six months in jail. The rationale for the enactment of this new law is that in a car accident dogs become projectiles if they are hanging their heads out of the window. The ones charged with the task of enforcing this law and issuing summonses–dog-owning police officers–agreed to talk about this law, but asked not to be identified. Another thought that this was a particularly intrusive law, especially given the severe penalties.